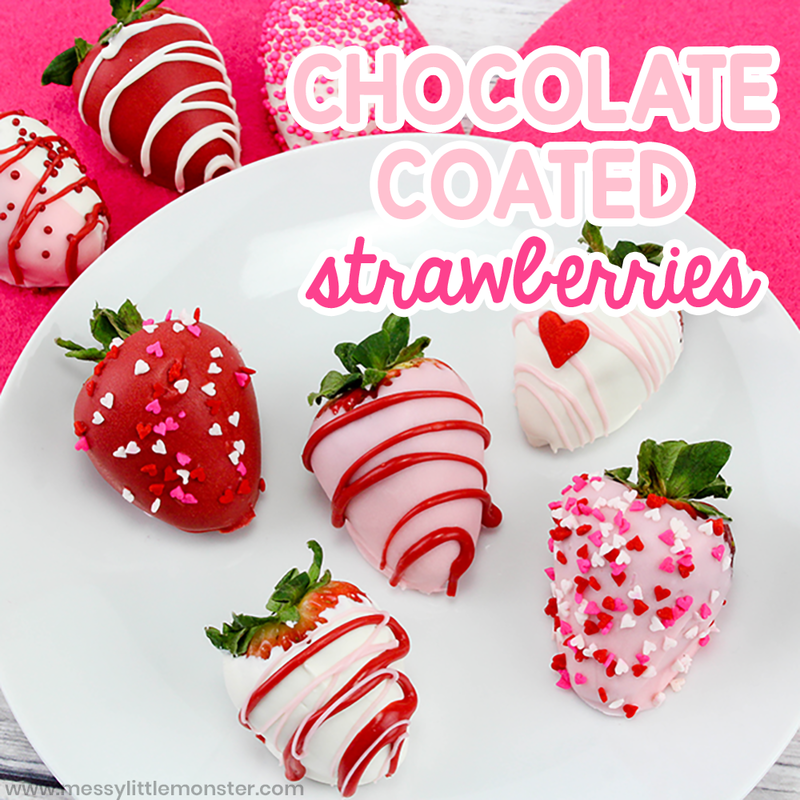 These chocolate coated strawberries would make the PERFECT easy Valentine's Day treat! Super simple to make, fun to decorate, and a great way to encourage toddlers and preschoolers to eat more fruit. Below I have included simple step by step directions to make your own chocolate covered strawberries! 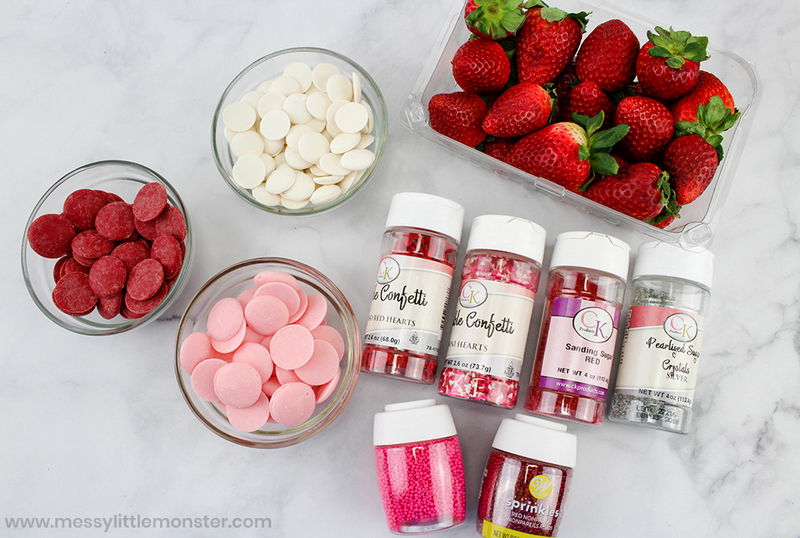 Make even more fun food and be sure to check out this other Valentine's Day treat! 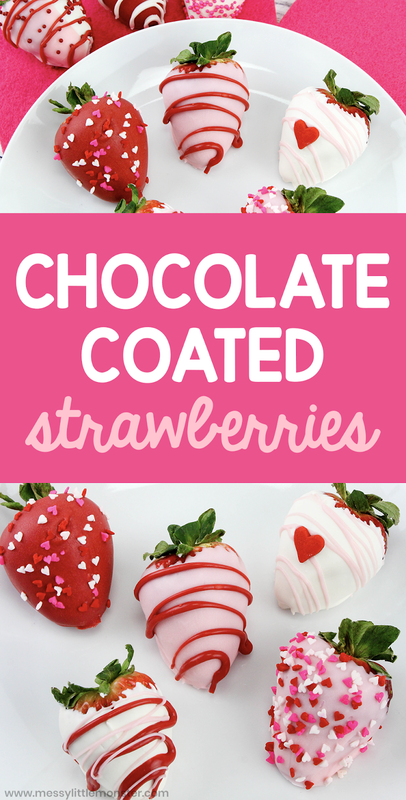 These chocolate coated strawberries are such an easy and fun Valentine's Day treat to make with toddlers and preschoolers. 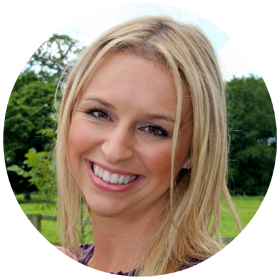 They're perfect for playdates, an afternoon picnic or just as a yummy treat! Children will LOVE decorating their own strawberries with different designs - and there is the added bonus that it encourages them to eat more fruit! 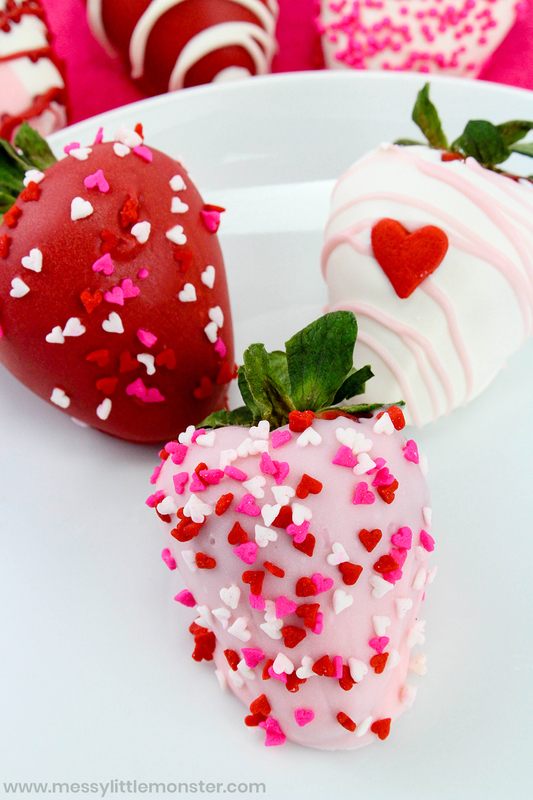 We really enjoy making chocolate covered strawberries, so I know you will too. Scroll down below for the recipe to your own chocolate coated strawberries! Before you get started, gather up all the ingredients - make sure to rinse and dry the strawberries. Now to get started, melt the different chocolates according to package directions - one at a time. 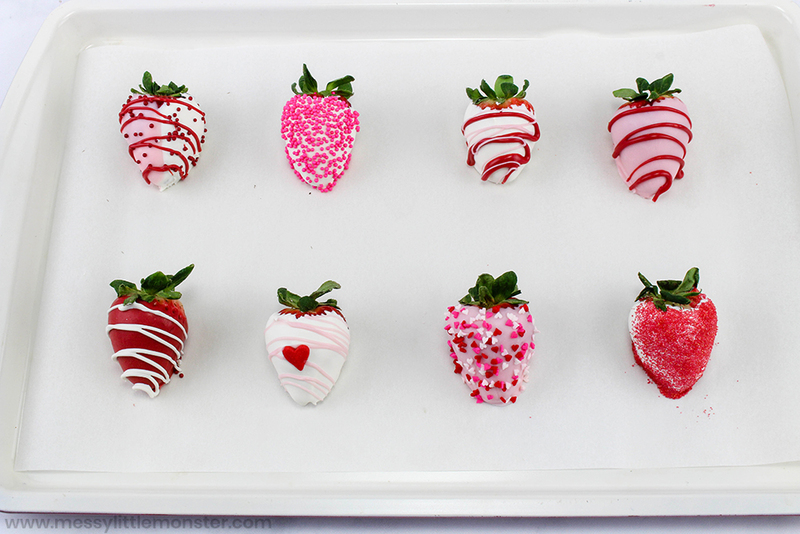 Next, dip each strawberry into the different colors of chocolates. Then, place on a parchment lined baking sheet. 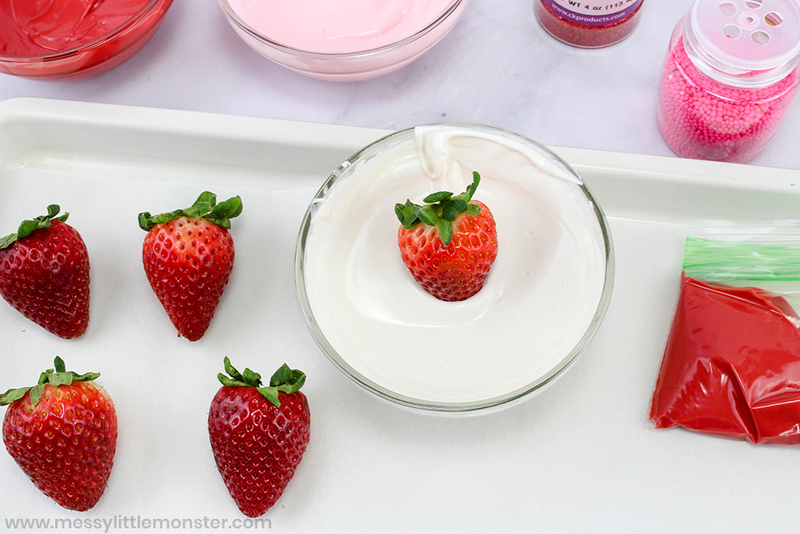 Immediately following, have your toddler or preschooler choose the sprinkles they'd like to use and decorate the strawberries. 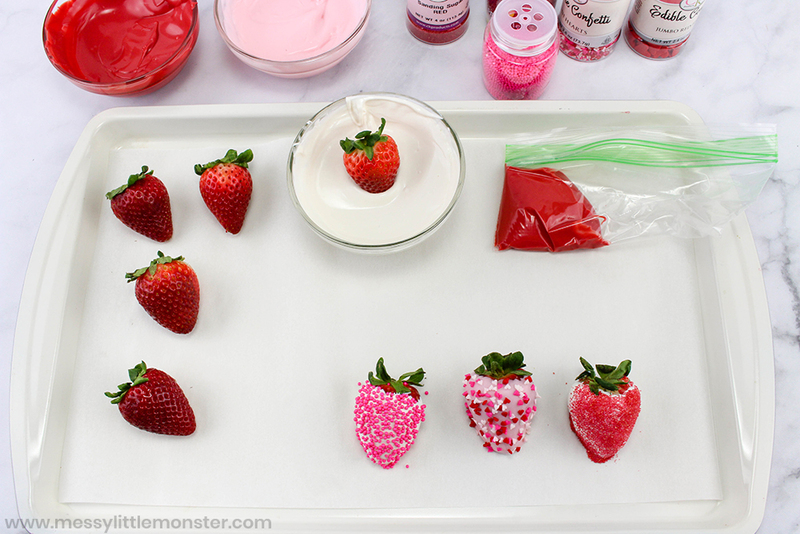 Another fun idea that looks effective is to drizzle some chocolate of a different colour over the strawberries. 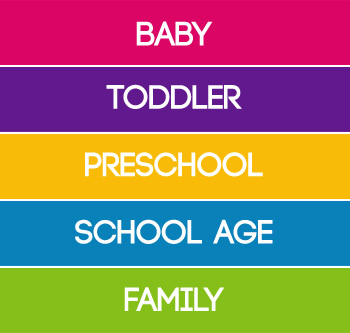 Have fun coming up with different creations! Allow time to dry and enjoy your chocolate coated strawberries! 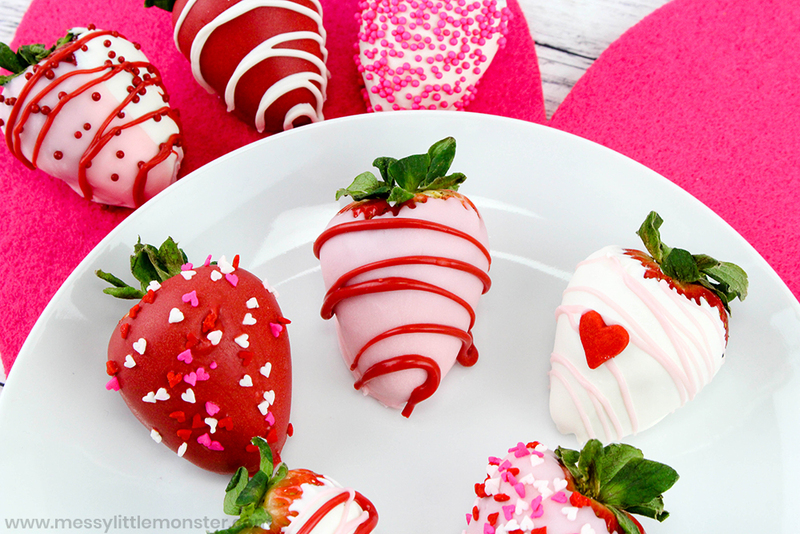 How much fun would it be to make these chocolate coated strawberries to take on a Valentine's Day picnic or to have at a love themed tea party!